This notebook computes reflections on a Billard table. How many possible ways exist to reach one point from another in a round Billiard table? 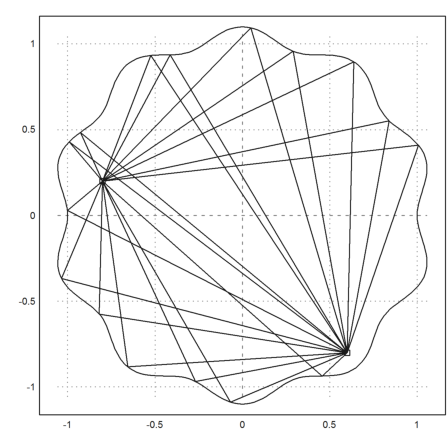 The following function computes the length of a path in the complex plane from z0 to z and then to z1. 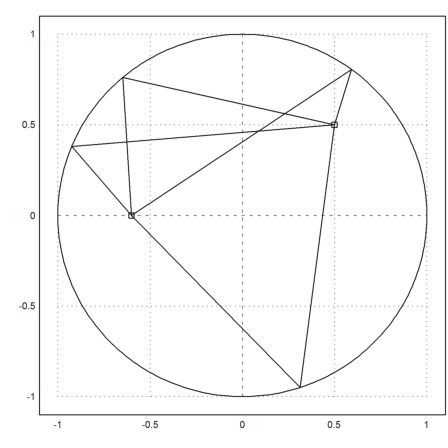 Now we define a circle in the complex plane. 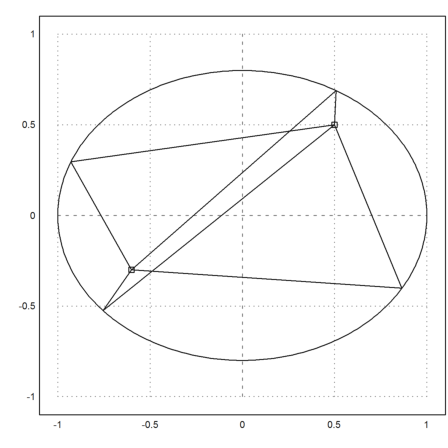 We plot all distances between two given points via the circle. There are four local extrema, which are related to paths that obey the law of reflections. Let us define a function, which computes the round trip over e^(it). Now we use the function fextrema() to compute all local extrema. We see that there are four ways to play a Billiard ball with one reflection from z0 zo z1. We want to define a function that does the same for a general curve. First we define our curve. Now we define a function for the round trip, calling the curve function by name. 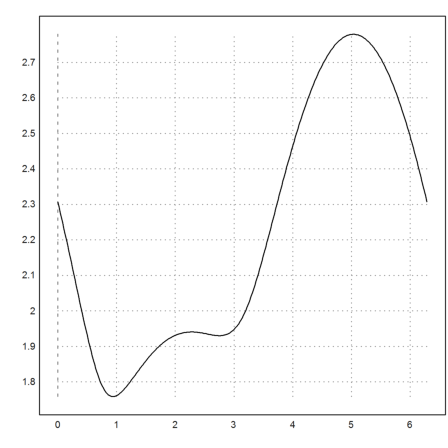 Next, we make a function, which plots the curve, computes the minima and maxima, and plots the distances. Now we take an elliptic table.